DE LA SPHERE. Figure XXXVII. 103 - MALLET, A.M. Title : DE LA SPHERE. Figure XXXVII. 103. Size : 5.7 x 4.1 inches. / 14.5 x 10.5 cm. 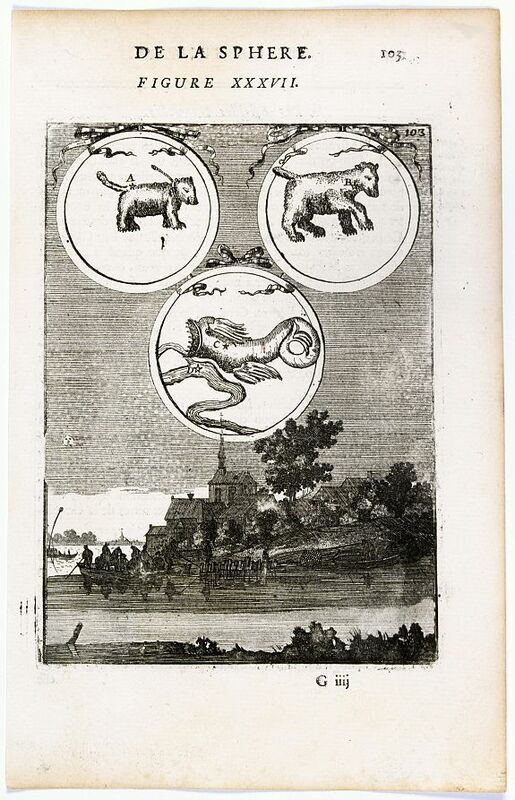 Description :Fine celestial map depicting three constellations in allegorical form. The 3 spheres are suspended above an engraved scene of a harbor on a moonlit night. Condition : Some age-toning of paper. Else very good condition.